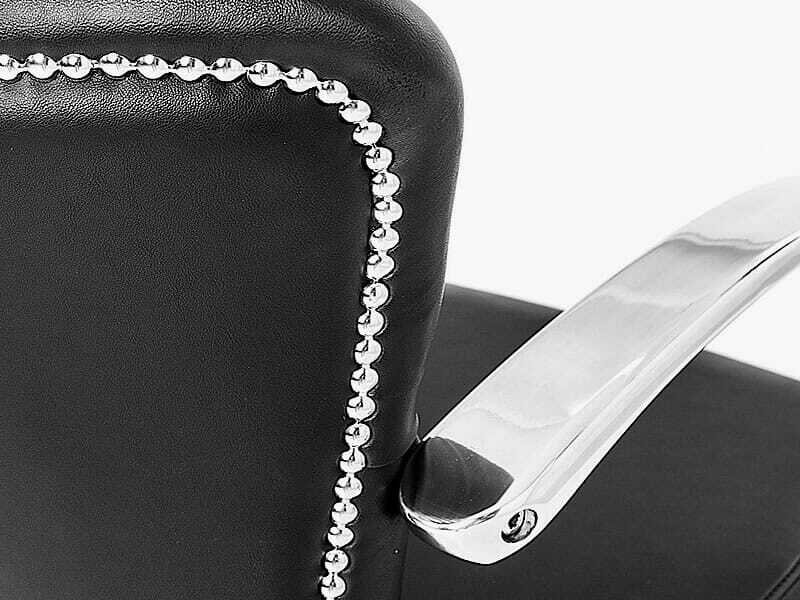 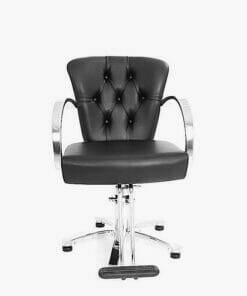 WBX Grande Classic Barbers Chair , WBX’s best selling chair is now with classic buttoned back and chrome stud detail on the rear and features stylish chrome arm rests and a t-bar footrest. 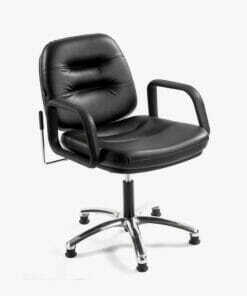 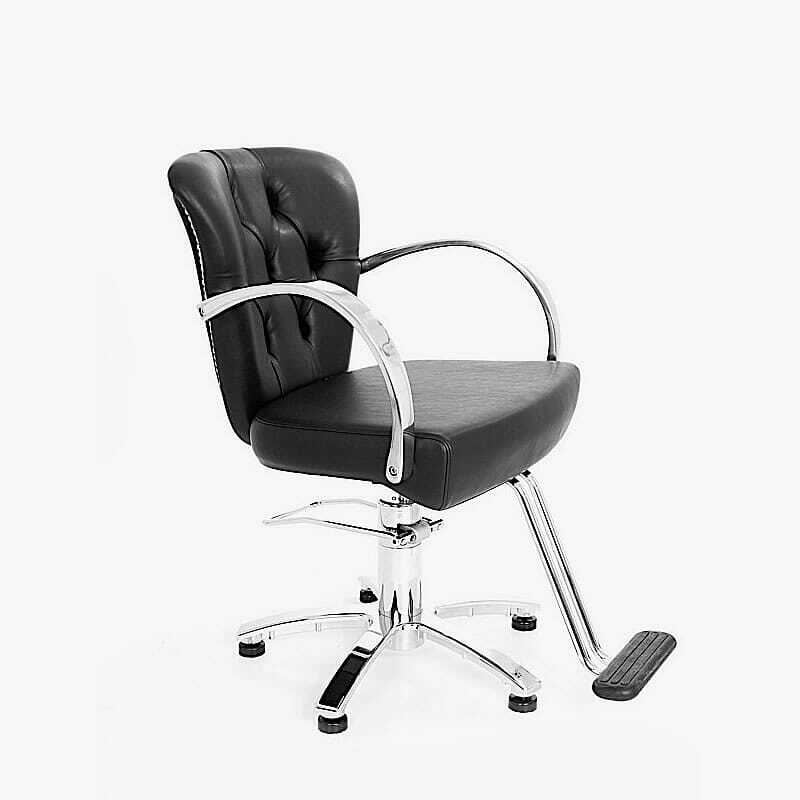 Upholstered in a hard wearing, easy to clean fabric and available in black or brown upholstery with a wide comfy seat and slightly curved backrest for ultimate client support and comfort. 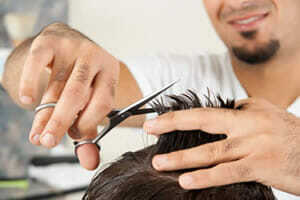 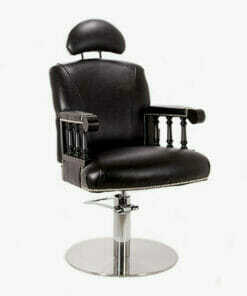 Ideal for busy barbers shop. 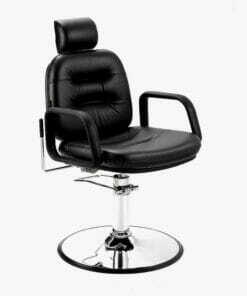 The hydraulic pump allows the operator to easily adjust the chairs height using the foot pedal, which can be locked into position to prevent the chair from rotating while in use. 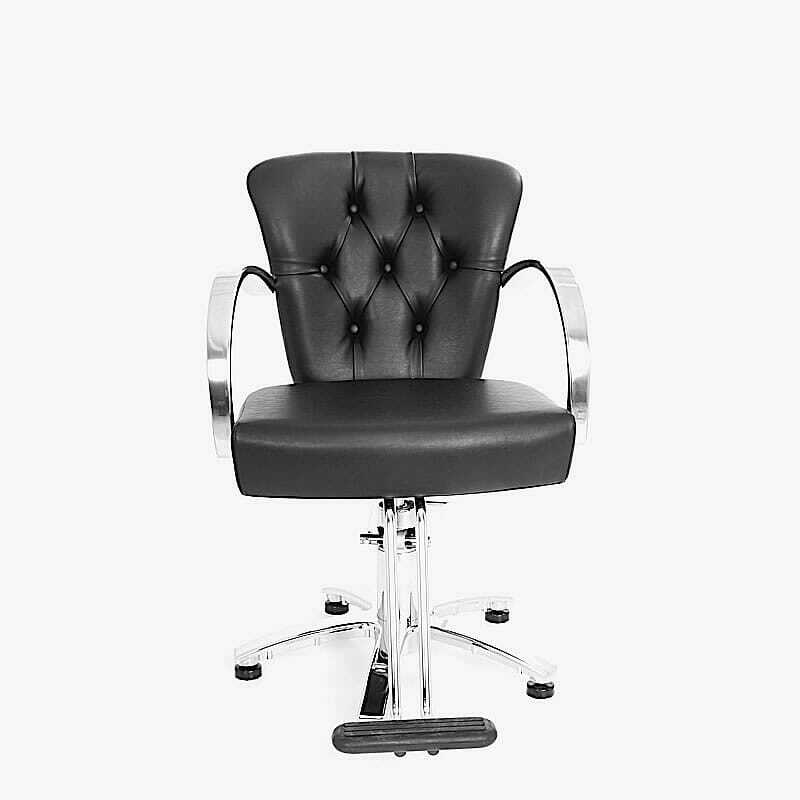 Complete with a fitted chair back cover to help against spillages and stains. 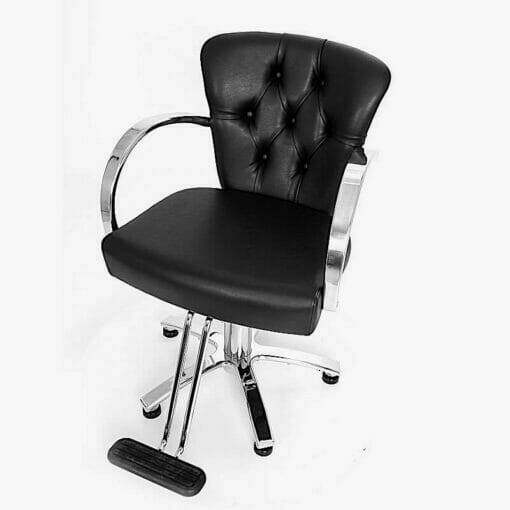 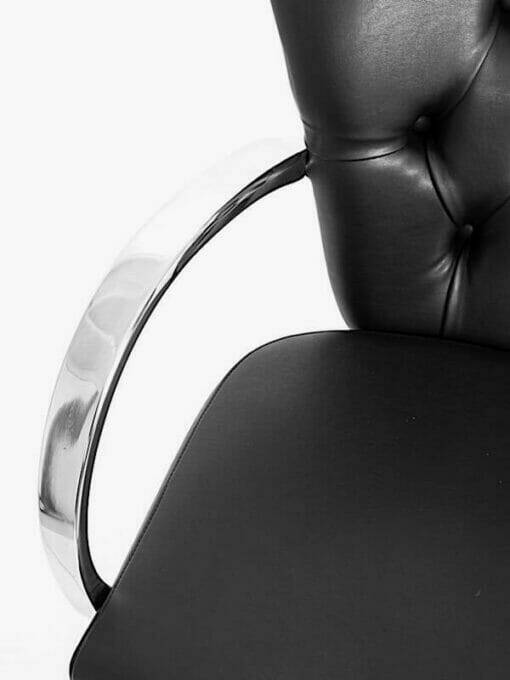 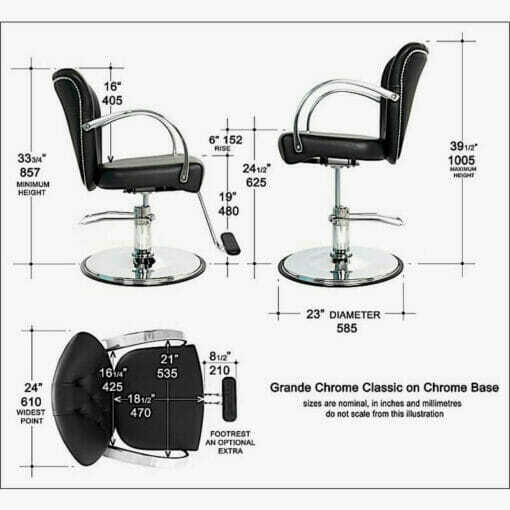 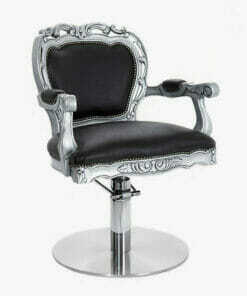 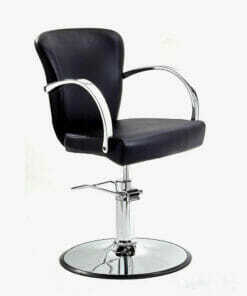 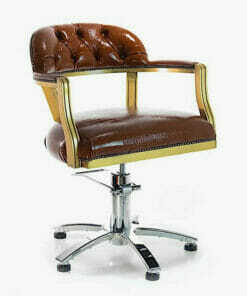 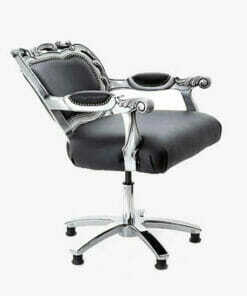 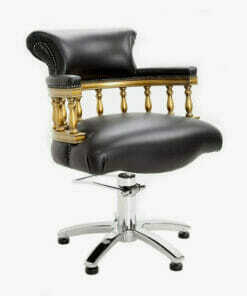 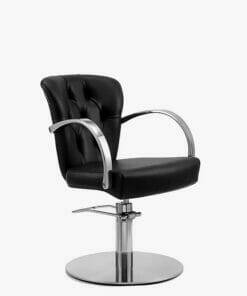 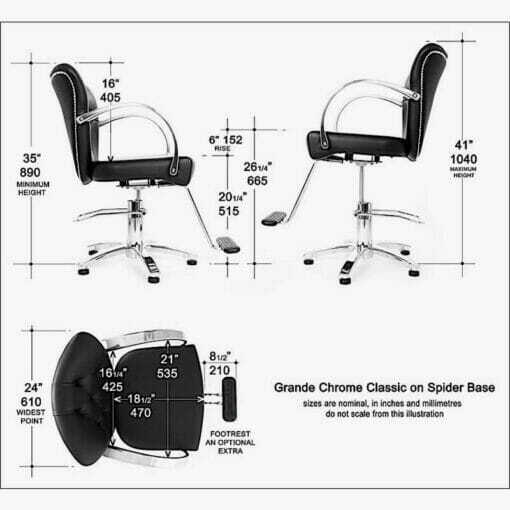 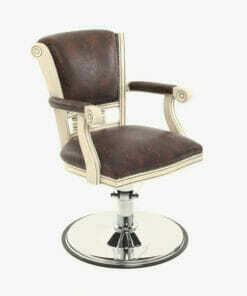 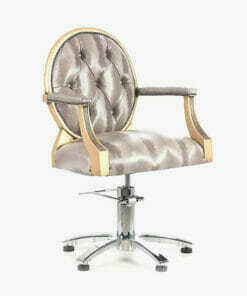 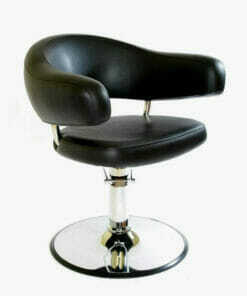 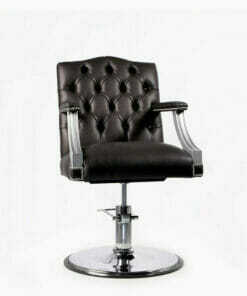 The WBX Grande Chrome Hydraulic Styling Chair is available on a 5 star round, flat round base or flat square base. Please use the drop down box to select.